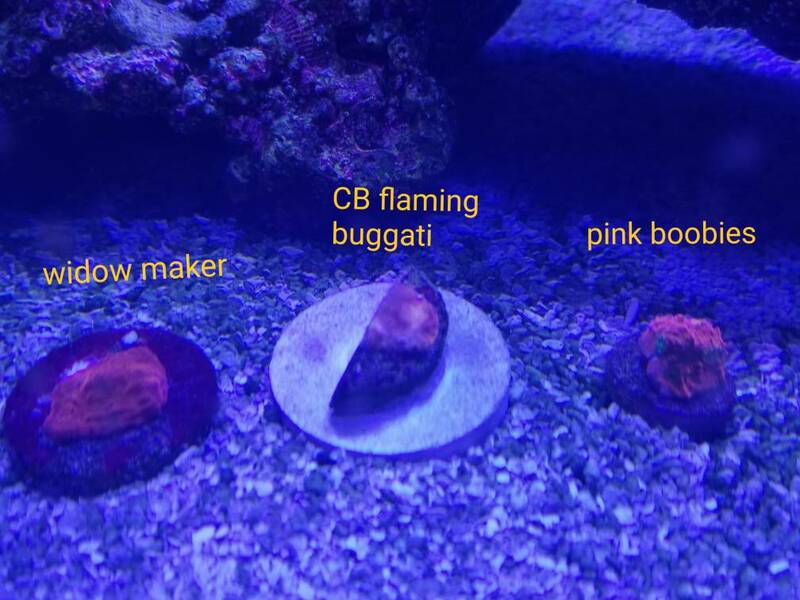 Discussion in 'Tank Journals' started by jhuynh, Oct 10, 2018. The lid looks great! How long did it take for them to get you the lid? took them about 2 weeks. delivered 2 days by usps. and you have baby snails! so my first care package of frags came in. waiting on the second one in early jan. ill take better pictures later when I place everything in place. just in time for the holidays and also my birthday. Is the mesh on the cover replaceable? 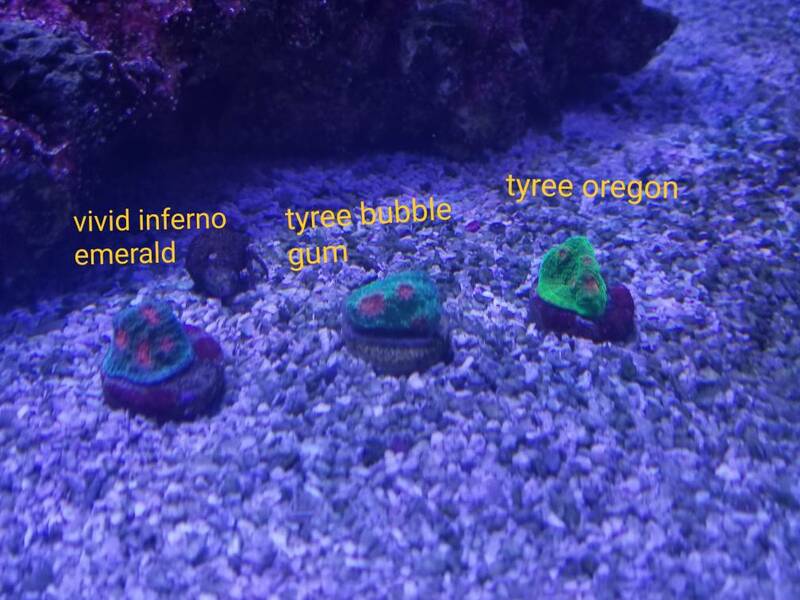 cool frags! whered you get them from? yes the mesh is replaceable. it's the same as changing a window screen. 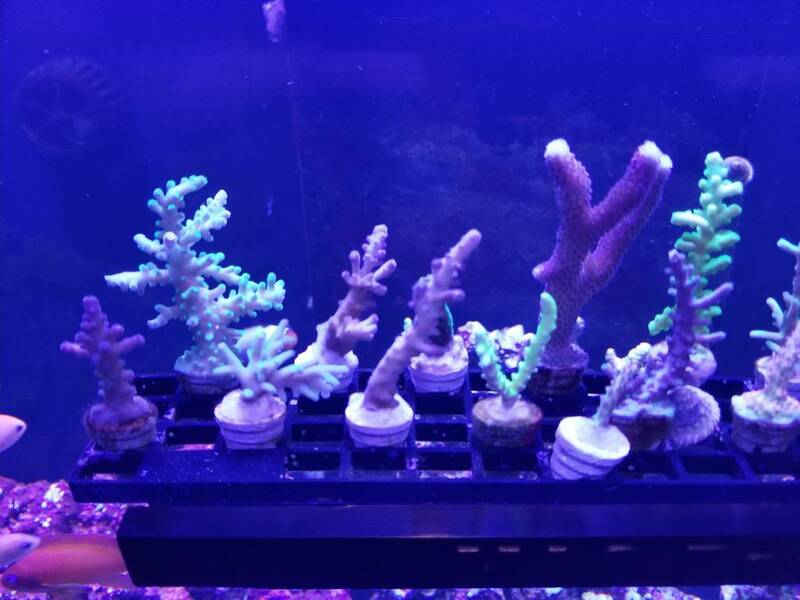 as for the frags, they were from a local reefer who gave me a good deal on a frag pack. 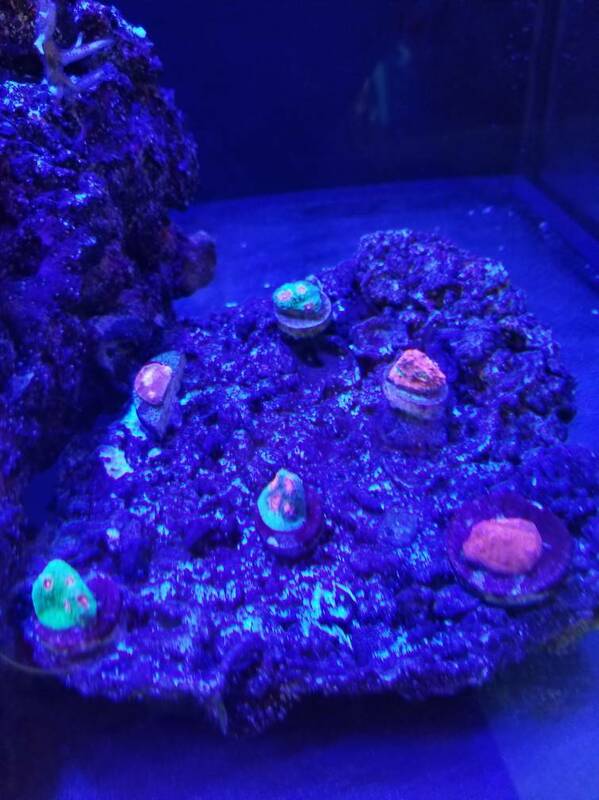 my next shipment of frags will be more higher end including a walt disney and bunch of old school ora pieces. future dbtc sps. another thing, you may want to move your photos away from the lights, long term exposure may speeds up yellowing your framed photos, unless you don't care about that and can be printed easily. man. why is everyone asking about those picture frames? frames were from ikea. pictures were prints from walgreens when they had the two free 8 x 10 promotion. just a quick update. went bare bottom and couldnt be more pleased. added a jaebo ow40 wave pump. 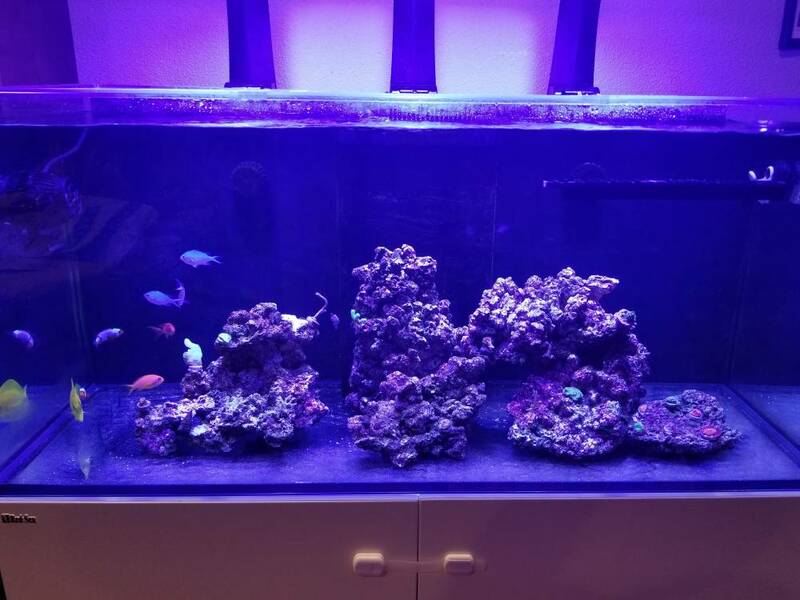 moved some corals around and added a chalice section in my tank. 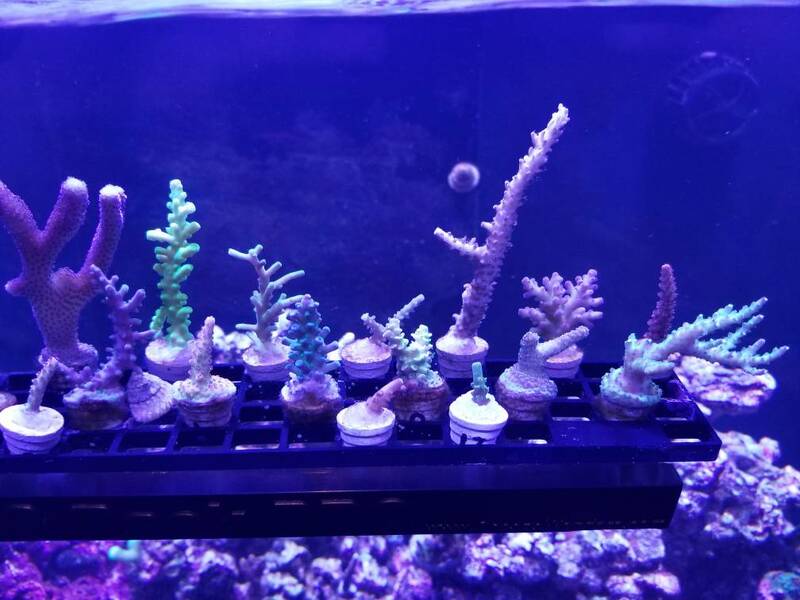 letting some sps grow and encrusted some more before adding more. 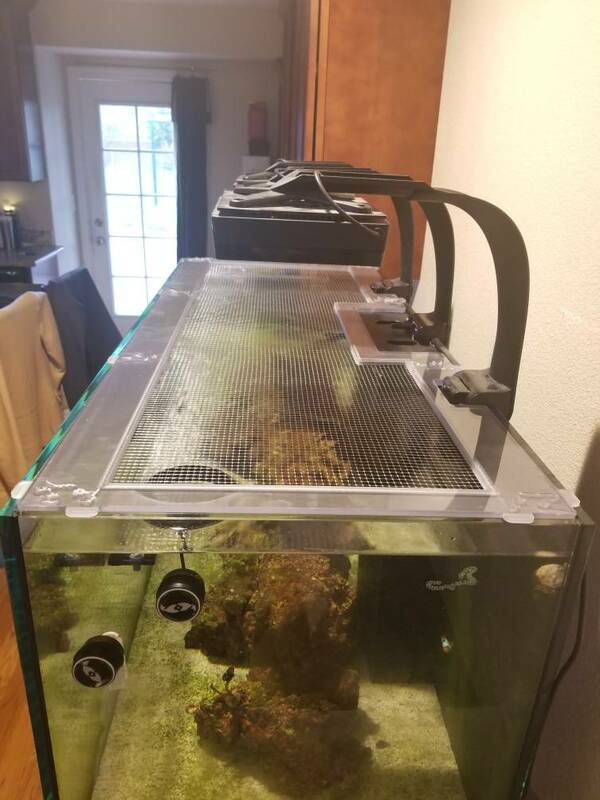 thinking of removing the two 8x8x4 marine pur blocks cause a fellow reefer said it leaches aluminum, but everything seems fine. it has been awhile since my update. was busy with my new job. 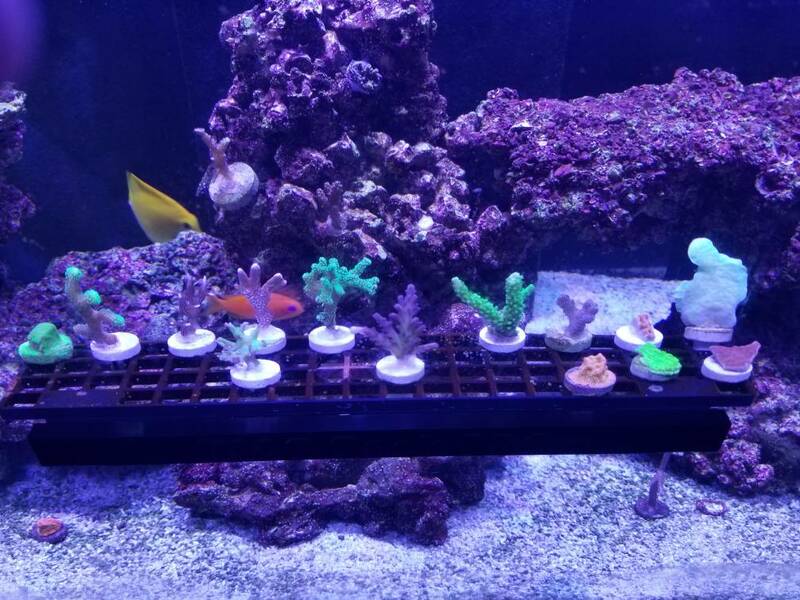 recent additions from my little brother - 32 sps frags care package: ora hawkins, ora Joe the coral, Walt Disney, fox flame, pink lemonade, and orange passion - to name a few higher end. not much of an update. tank is now about 10 months. been trying to lower alk to at least 8 but has been closer to 9 for 2 months. 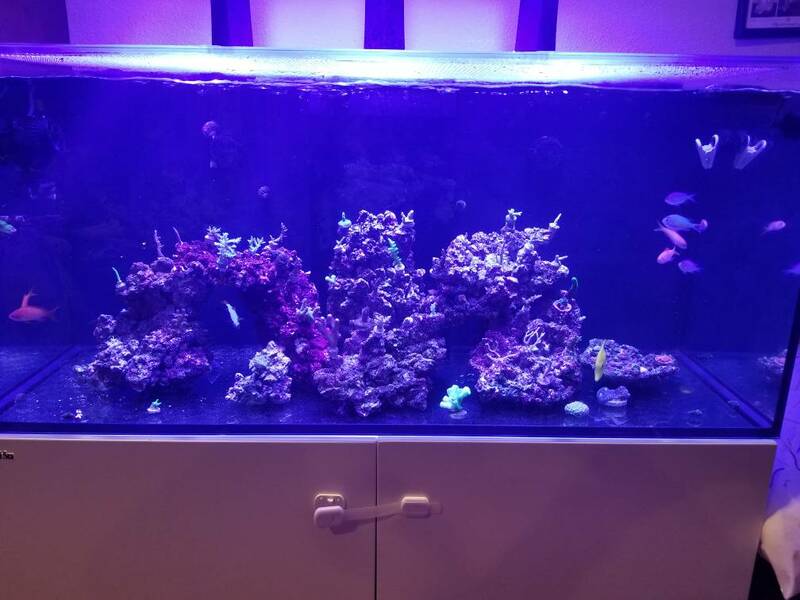 trying to do do biweekly 25% water changes with red sea blue bucket 7.7 alk levels, but still sticks at 9. not dosing anything. anyone have any other things I should look into? was going to let it go down naturally until colors on some sps browning and some has shows slow signs of stn. Have you double checked your test kit first? yes - i have been using salifert test kits. i also have the alk and cal hanna checker to double check against the salifert results.